Creation of a series of beautifully-designed websites to power the digital presence, ticket sales, and online collections for the largest art museum in the western United States. LACMA is the largest art museum in the western United States, with a collection that includes more than 130,000 objects dating from antiquity to the present, encompassing the geographic world and nearly the entire history of art. Recognized internationally as a vital part of Southern California, LACMA shares its vast collections through exhibitions, public programs, and research facilities that attracts over a million visitors annually, and millions more through its digital initiatives. 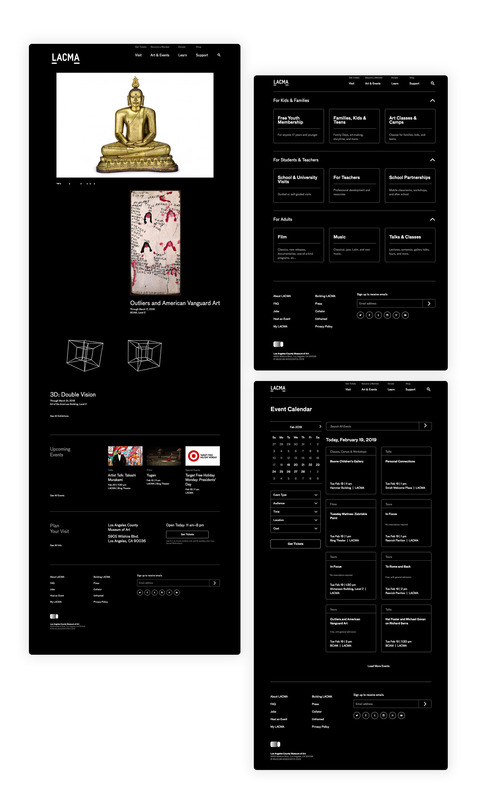 LACMA's previous website use was constrained by a rigid, legacy proprietary web content management system that limited access to a few technical team members and made it difficult to integrate content from the museum's diverse program areas. 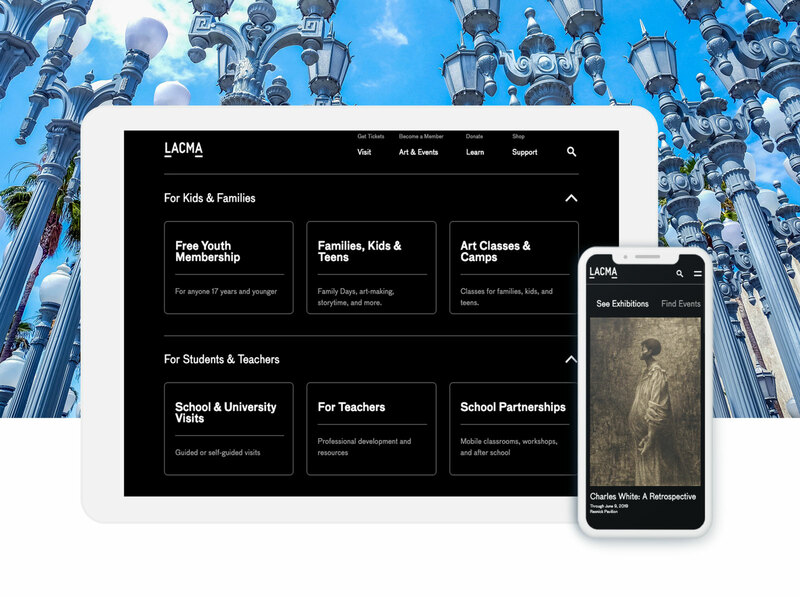 Urban Insight and LACMA migrated the museum’s website to Drupal, a popular, open source web content management system. The enhanced features of the Drupal platform created greater flexibility for more interactivity, empowered staff members to add content, powers the museum’s mobile apps, and encourages discovery of artwork. Visitors can search across LACMA's 100,000 artworks spanning the full range of cultural history, from 2000 BC to the present, and gain immediate access to 20,000 high-quality images of artwork that the museum has made free to download and use.